On 26th January 1500 Brazil was first discovered by Spanish explorer Vicente Yanez Pinzon. 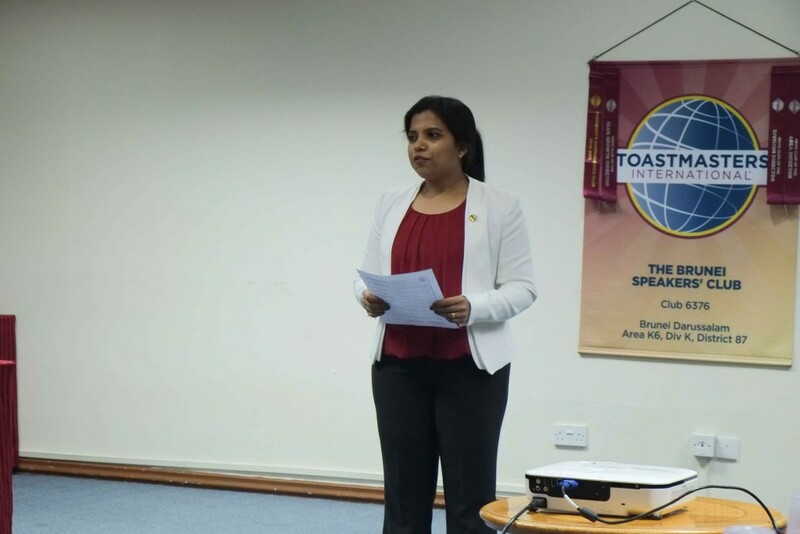 449 years later in 1949, India celebrated their first Republic Day and presently, our meeting is held on the same day as remarked by our compelling Toastmaster of the Evening, TM Pooja Shivanand Breh, when she began the historical meeting. 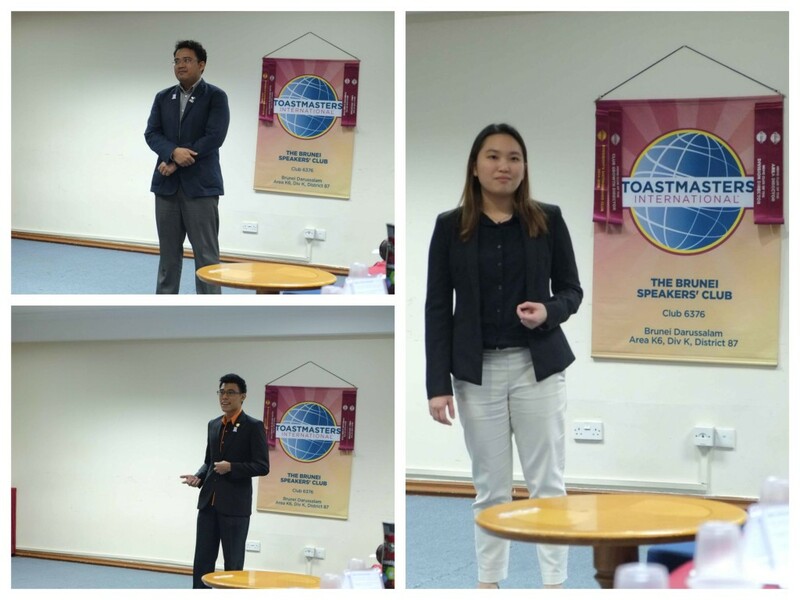 Our humble abode was visited by 17 young aspiring public speakers from Maktab Sains Gavel Club who gleefully came to observe their first Toastmasters meeting. After a brief guest introduction was done, Pooja proceeded with the introduction of enthusiastic office bearers. The evening’s grammarian, Ong Yin, CL, introduced the word of the day – invigorate; a verb which means to give strength or energy to. As her second task, Ong Yin announced that she would be observing the use of rhetorical device – triads which are the statements in groups of three. As Timer & Tip, Hilman Omar, CC encouraged the audience to invigorate speakers with smiles and cheers to ease the flow of the meeting. For the Thought of the Day, Pooja shared that sincere arrogance is better than pretentious humility. The point is about being sincere, genuine, and earnest in whatever we do. This is because sincerity pays; sincerity defines who you are in the long run. TM Rahmat Tarsat engrossed us with her story in her CC4 speech project entitled “Insights from the blind”. At the age of 18, Rahmat volunteered in a college for the blind where she assisted in a chemistry lab practical. In one such experiment, students were to identify chemical substance by the color of the solution in a test tube. To her puzzle, a visually impaired student made an effort to carry out the experiment when they could not “see” the result – colour. Out of shock, Rahmat dropped a test tube and the lab burst into laughter when a student loudly asked “which klutz dropped a tube?” From then on, Rahmat’s amazement continued when those students were able to accurately identify chemicals through alternative senses such as smell, touch and sound of sizzling chemical reactions. In another instance, she was astonished when a visually impaired student led her around town, avoiding puddles and oncoming cars with just 4 human senses. After spending time with visually impaired students, she implored us to train our senses to focus on what matters because having sight without vision is detrimental to one’s determination. Well done Rahmat for sharing such a captivating story. 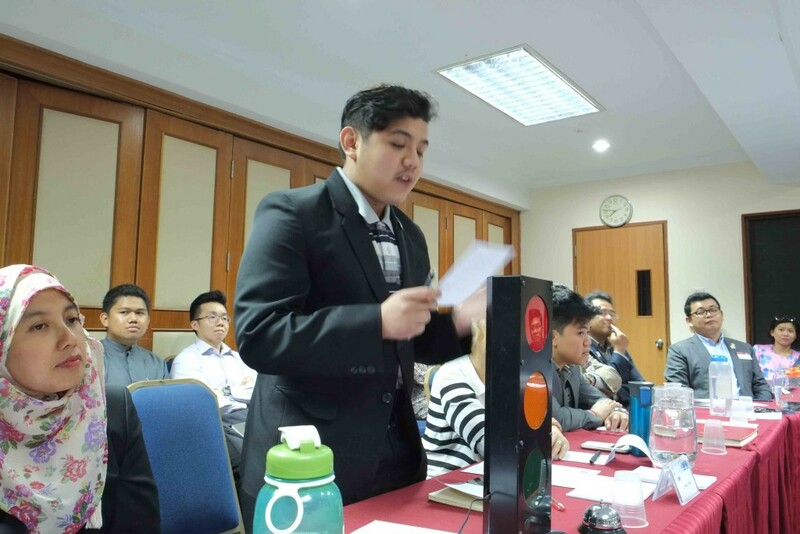 In TM Rahul Breh’s CC9 persuasive speech entitled, ‘’Plastache”, he attempted to raise our awareness in how much plastic we use in our daily lives. From forks to bags, we are enveloped by plastics. When it’s not disposed properly, animals mistake it as food and hence killing them because it is almost non-degradable. Plastics from 30 years ago could have entered our food chain with the potential to cause hormonal imbalance, cancer, etc. With a degradation time of up to a 1000 years, it causes injury to animals by plastic entanglement and fatality by ingestion when animal mistakenly consumes it. According to the department of environment, Brunei has shockingly used 50 million plastic bag which entailed to its ban from supermarket every weekends. As steps to lessen disposal of plastics, Rahul persuaded us Reduce, Reuse and Recycle products like bottles and bags. Thank you for changing our mindset towards plastics. 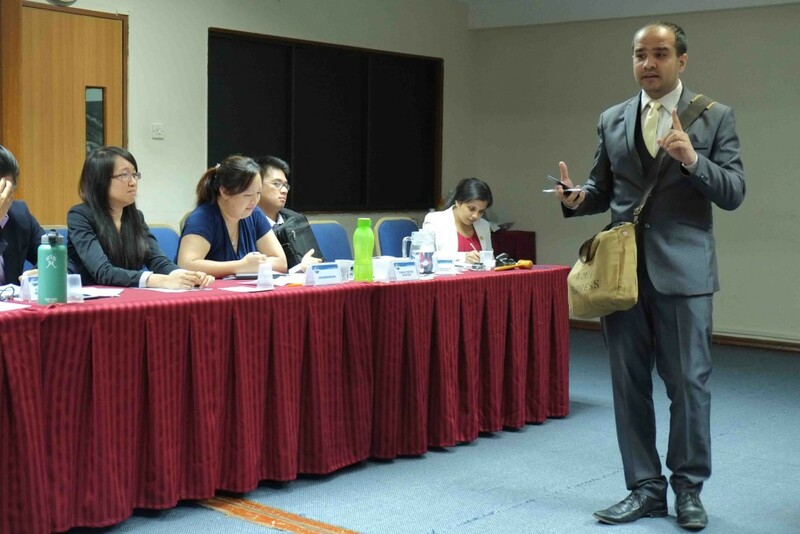 For Rano Iskandar, CL, CC to sell a product in his ACB 2 speech project “Just a tap away”, he introduced a solution to declutter all promotional materials and other sparsely available information. Rano sold us Snapfeed. An ingenious application that consolidated business directory, event listing, movie ShowTime, discounts and promotion into a singular platform on our smartphones. He further enticed us with Snapfeed’s convenience, accessibility, loyalty reward program and that it is freely available to us. Job well done. We are sold! 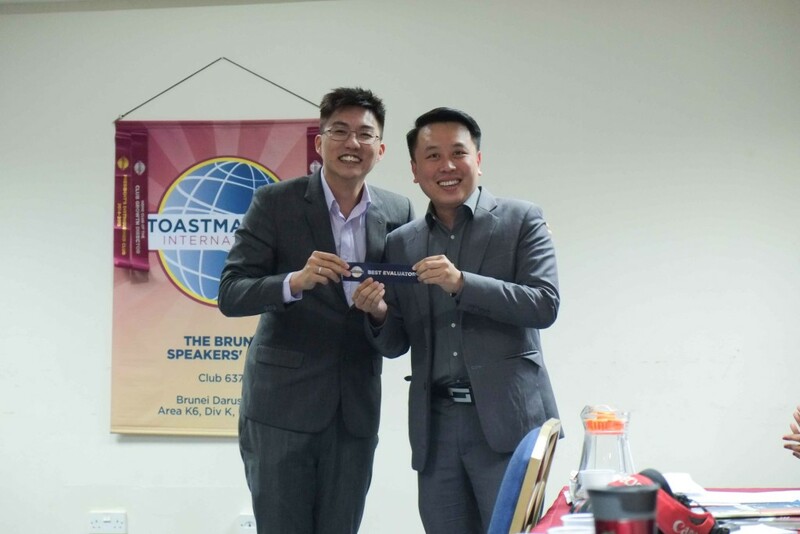 Shortly after the break, TM Kelvin Lai graced the floor as Table Topics Master with a topic theme of quotes. 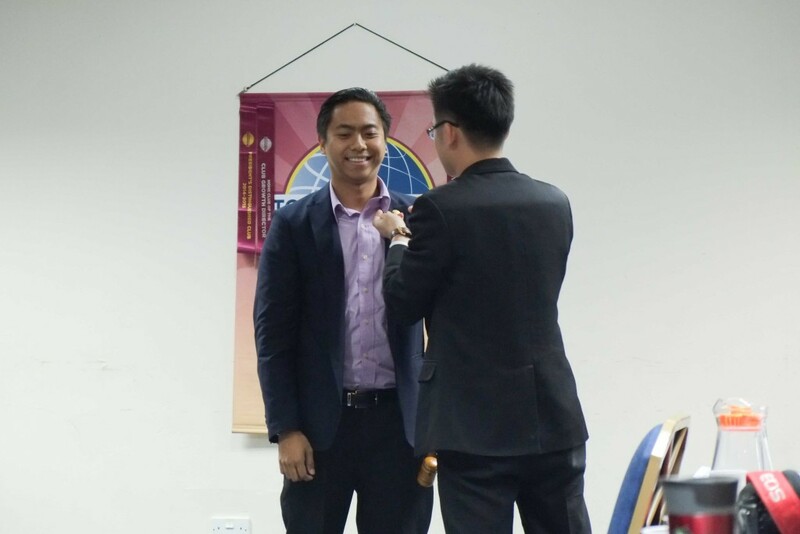 When asked “if you want happiness by someone else”, TM Amran Jamaluddin said that developing and encouraging others to be leaders are one of his greatest joy. 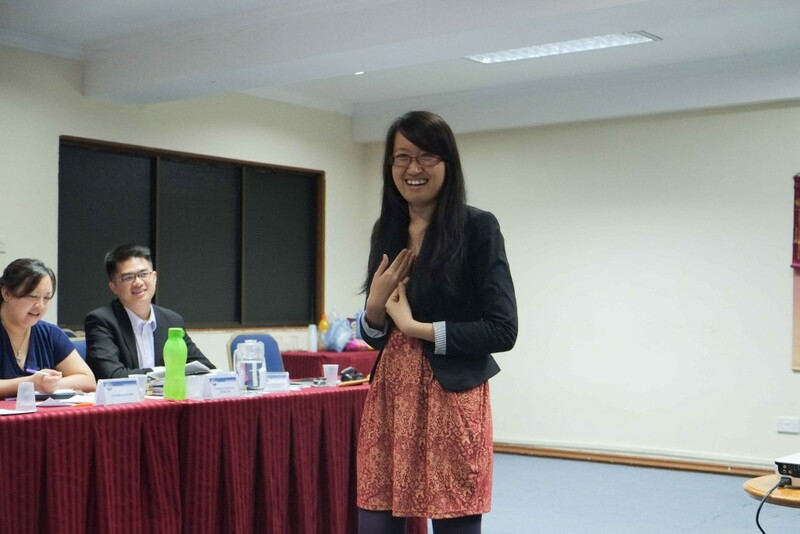 Our second speaker, TM Macalister Mak, was given the topic “life isn’t about yourself, life is about finding yourself”. When he was younger, he had always wanted to be active in sports but could not do so because of his asthmatic condition. Through sheer determination, he taught himself breathing techniques and eventually excelled in sports. 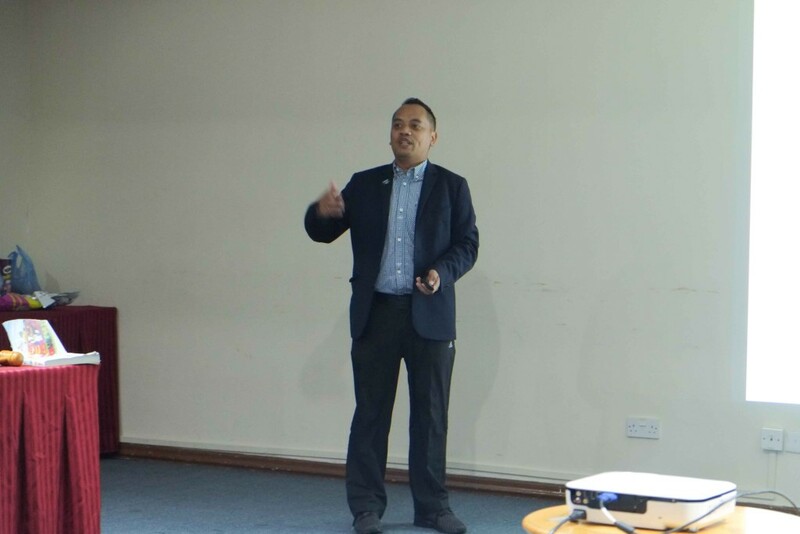 Our third speaker, TM Supatra Lee, received the topic “No pressure, no diamond”. One of her biggest dream was studying abroad with a scholarship. Because scholarships aren’t easy to obtain, she had study hard for entrance exams like SATs. With persistence, she wrote close to 20 essays for university applications and finally got into a university in Abu Dhabi. Effort and hard work have certainly harden her into a diamond she is today. 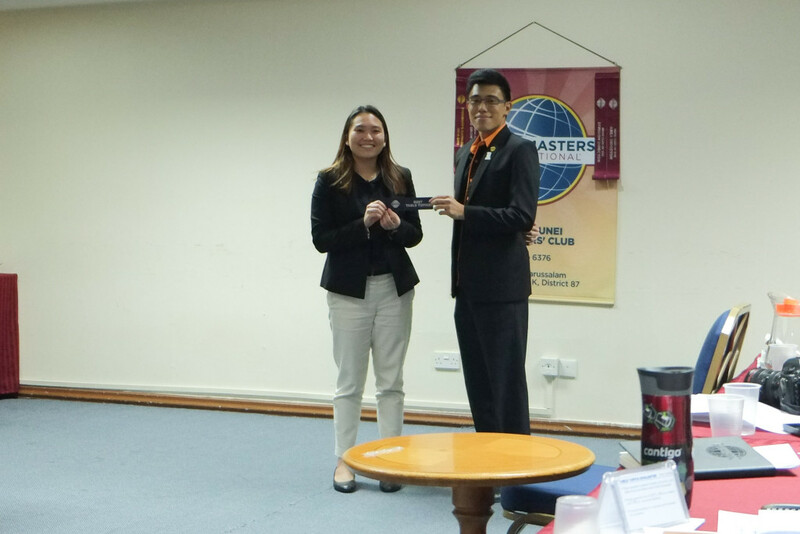 Towards the end of the meeting, Area Director officially announced that TM Aziman Nasir will be taking over as the Club’s Treasurer. It was followed by a procedure to officiating him into the Executive Committee with an oath. Congratulations Aziman! In his presidential remark, Chris Woo, CC said that no one is born to be a public speaker. Instead he/she is made through practice and having a platform to do. 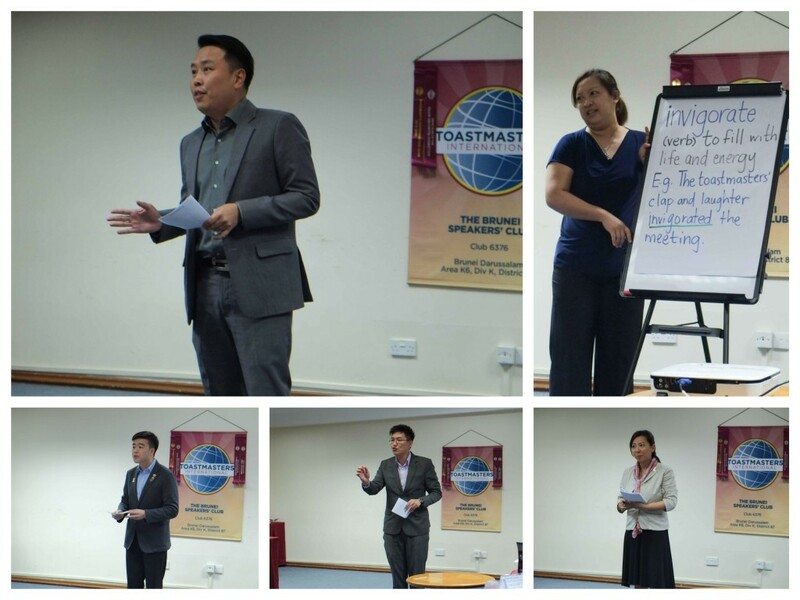 Once such platform to practice is Toastmasters.